The name Indochine is a combination of the names China and India, dating from a period between 1884 and 1954 when this Southeast Asia region was a French colony. As a result, parts of the cuisine in countries such as Vietnam, Laos and Cambodia were exposed to French influences, combining regional recipes and spices with French techniques and styles. 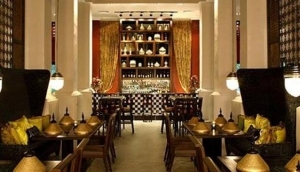 There are some excellent Indochinese restaurants in Singapore, offering delicious and authentic Indochinese cuisine in a charming setting and atmosphere. Indulge in a unique experience.